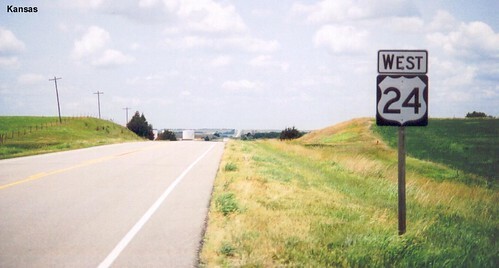 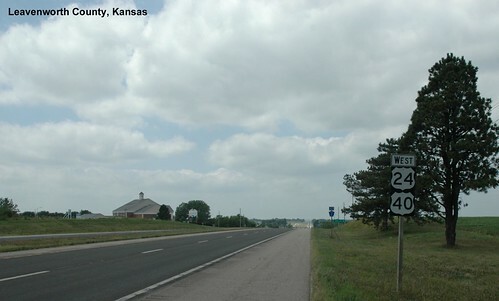 With the lanes closed for construction I was able to stop and photograph US 24 crossing from Missouri into Kansas. 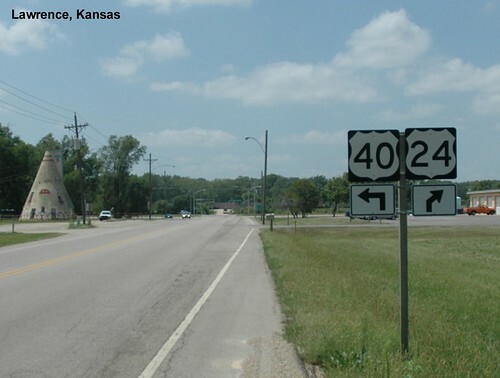 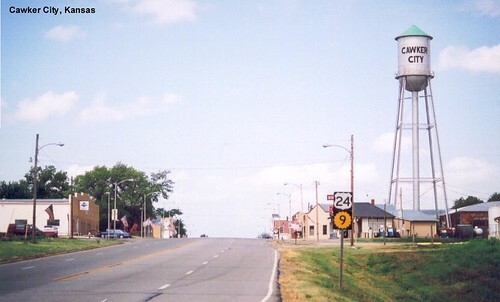 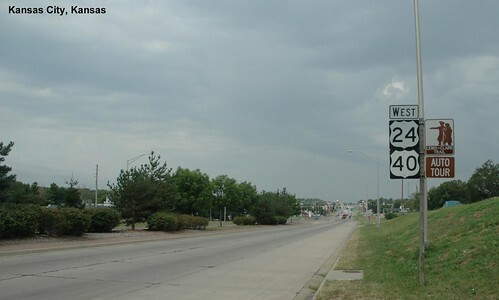 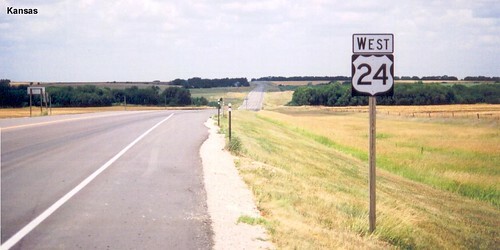 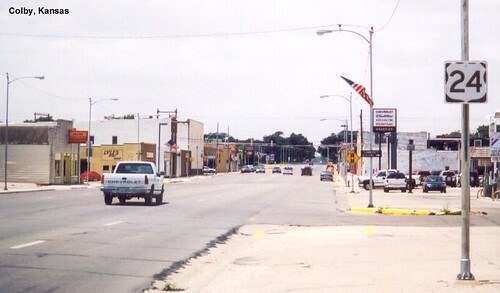 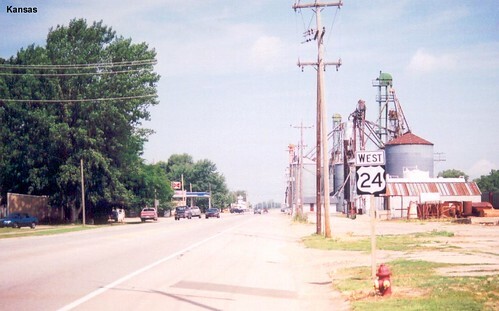 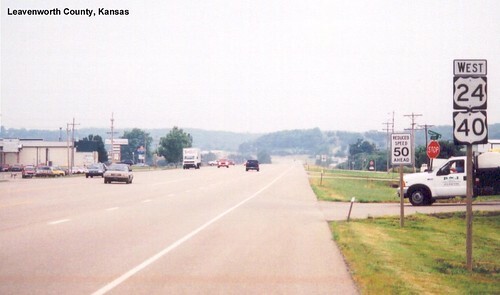 US 24 is multiplexed with US 40 in Kansas City and is also called the Lewis and Clark Trail. 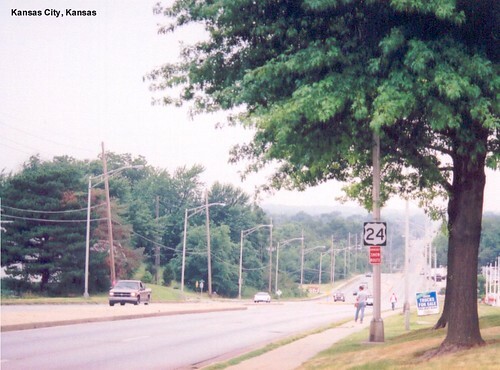 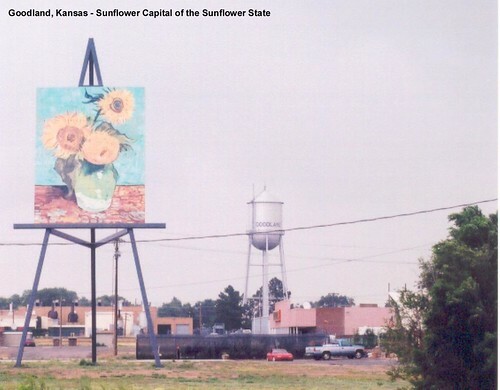 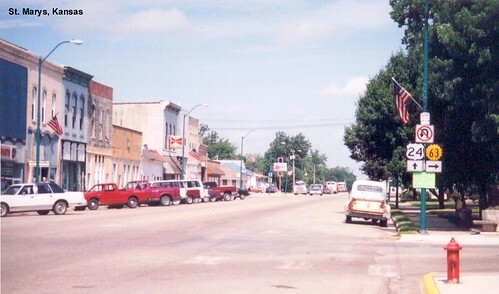 The multiplex with US 40 ends in Lawrence.